Bavarian beer, cuisine and culture combine to make this one tour of Germany you don’t want to miss. Imagine singing along with tens of thousands accompanied by ‘oom pah pahs’, while locals clad in lederhosen and feathered hats dance on tables. This is Oktoberfest! Of course, this tour is not only about beer—it’s also about sampling Munich’s cuisine and culture. Your CEO will take the hassle out of organizing so that you’re free to enjoy the party. 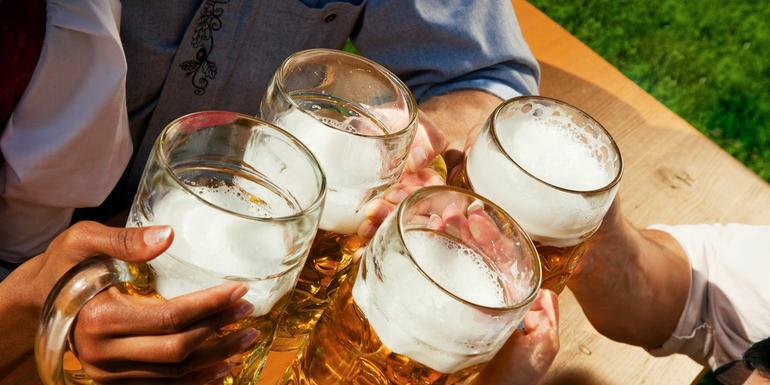 Experience the lederhosen, the music and the friendliness of Bavaria—Ein Prosit! 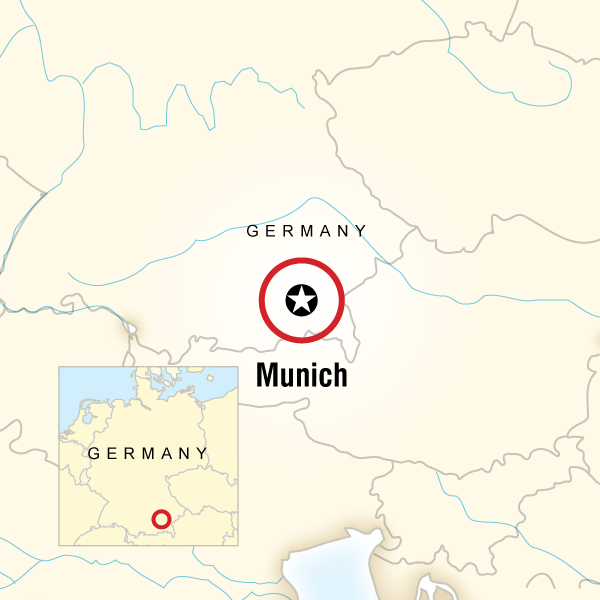 Your Foodie Moment: Munich Brewery Tour and Tasting, Munich Your Big Night Out Moment: Oktoberfest, Munich. Munich walking tour. Local brewery tour. Oktoberfest activities. Traditional Bavarian dinner. Revel in raucous Oktoberfest with new friends, dig into hearty regional fare, follow Bavarian beer from brewery to tankard and enjoy a tipple or two yourself, shop for lederhosen. The last day’s included activity will be a dinner and beer at a typical Bavarian restaurant right in the heart of Munich. Bavarian fare does not consist only of sausages and sauerkraut. Oh no no mein Bruder, you’ll have the chance to sample hearty foods such as pig's knuckle, schnitzel, haxe, creamy sauces with locally produced mushrooms, suckling pig, creamy cheeses etc. This food is rich and tasty, just be prepared for a higher than normal fat content. Enjoy the moments in a hearty Bavarian restaurant atmosphere where the waiters are dressed in traditional Bavarian clothing and the pure joy that bursts from every seam during the world’s one and only Oktoberfest season. Tschüß, bye bye und auf Wiedersehen! Please note that the apartments on this trip are quite simple, in traditional European style. They are located a few metro stops from the Oktoberfest action, but our travellers tend to appreciate the quiet neighbourhood for sleep. It is important to note that accommodation in Europe tend to be quite different to other areas of the world you may have travelled in. Buildings and rooms are generally old and may not have been renovated or maintained to the highest standard. Downtown hotels in Europe were not build to be hotels but rich owners houses, which have been changed into hotels. Therefore unusual room sizes are common as large rooms have been partitioned in the past, resulting in rather "thin" walls.Reception areas, rooms and bathrooms tend to be very small as they were often added into an existing room, and may have a hand nozzle rather than a conventional shower head. Staff can occasionally demonstrate less than perfect customer service. As accommodation is in short supply, hotels can charge a premium and there is sometimes little motivation to improve facilities. You can expect to find a clean, safe, simple accommodation in convenient locations. This G Adventures group trip is accompanied by one of our CEOs (Chief Experience Officer). The aim of the CEO is to take the hassle out of your travels and to help you have the best trip possible. They will provide information on the places you are travelling through, offer suggestions for things to do and see, recommend great local eating venues and introduce you to our local friends. While not being guides in the traditional sense you can expect them to have a broad general knowledge of the countries visited on the trip, including historical, cultural, religious and social aspects. We also use local guides where we think more specific knowledge will add to the enjoyment of the places we are visiting - we think it's the best of both worlds.